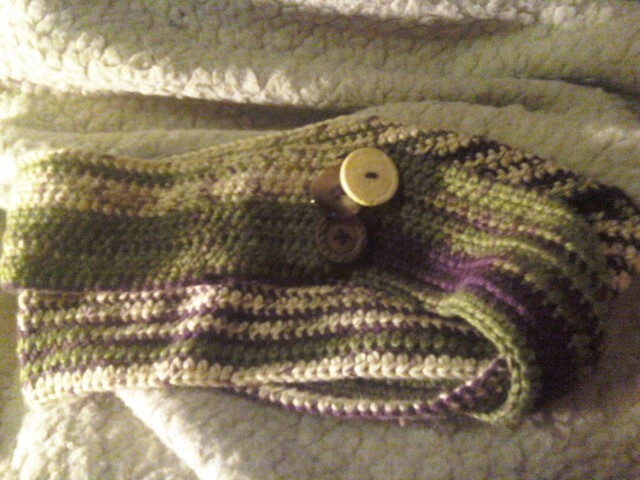 This is the finished cowl! I added some buttons as I love buttons! I sewed it in a mobius pattern so it is nice and thick around my neck!